WHISTLING BEAUTIFUL: GENDER,AGE AND MARRIAGE, A DOUBLE STANDARD!!!!!!!!! It is very obvious that there is so much double standard in society today and men and women alike are victims of the double standard. 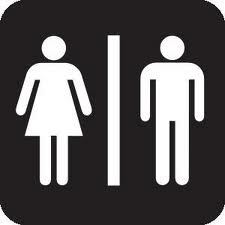 A certain gender has to do one thing while the other is exempt and vice versa. Who is responsible for these double standards, the finger will always point to society but I think it starts with each individual. You cannot keep blaming society for your own problems when you can actually fix them or at least make a difference to your own circumstance. There are a lot of them in society so the blogpost will come in parts. AUNTY: Oh really, that’s nice oh, so when are we wearing your aso ebi, when are you introducing us to the man. YOUNG LADY: Aunty which man? AUNTY: Do not pretend as if you don’t know what I am talking about, Julia got married last year, and Priscilla is getting married in August, so when is your wedding? YOUNG LADY: Oh that, (with the little fake laugh) We are praying oh. AUNTY: What type of prayer, please be quick about it, how old are you now? 26? 27? AUNTY: Oh 29, Bring him home quick so you can start having children, you know once you turn 30 , the child bearing…..
By this time the auntie’s advice has already been tuned out. Acquire Selective hearing if you can. Imagine if it was a guy the aunty was talking to, she would not even come close to the marriage thing, this would be a typical conversation. AUNTY: So what are you up to these days, your mom said you are at Stanford, you are currently doing your Masters. AUNTY: Oh, waoh, that is very impressive, keep it up. You know nowadays your education will land you a good job, and seeing Stanford on that resume ( doing the little dance) that is guaranteed entry, keep it up my boy, next thing now we need to see your new car and house, don’t forget to invite me to the housewarming oh….. Marriage is not always the ultimate thing even though society makes it so. The nuns and monks who have dedicated their service to God and have chosen not to marry are not lesser humans in that thinking, it is a personal choice. I am tired of my female friends feeling pressured because of age to get married, and then they marry and then marry the wrong person. Marry because you want to be happy, marry because you are in love with that person and you complement the person not complete the person (some people get the concept mixed up, pretty bad thinking if I must say, because if you are half of a person and the other half chooses to walk away, you are back to square one). All eligible single ladies that cannot handle too much talk about marriage at family gatherings or parties should buy earphones or develop selective hearing. I have said my own oh!!!!!!!!! The same way a MA/Ms.C doesn't guarantee a great job was the same way a MR/MRS does not guarantee happiness. Things are changing fast. Since marriages are contracts, I see a time Expiry dates would be decided on the wedding day with a clause for renewal if it made sense. Lil,I am waiting to see that happen, they may even make it a lease with the option to return. i think we have it worst up north (esp. Jos girls) the mothers aunties, uncles even dogs tend to bark more at you if you are not married early, they see it as a shame.From ur point of view, i agree its an individual thing not society again - too many crabs to contend with. @ilola, that's something the heart tells the brain, Sarah conceived at 90, this is 2012, with all the fertility drugs out there women can conceive oh. @Bangis Affairs yes oh, we individuals need to change our mindset. Indeed you are right. Somehow society should at least do something rather than blaming each other.